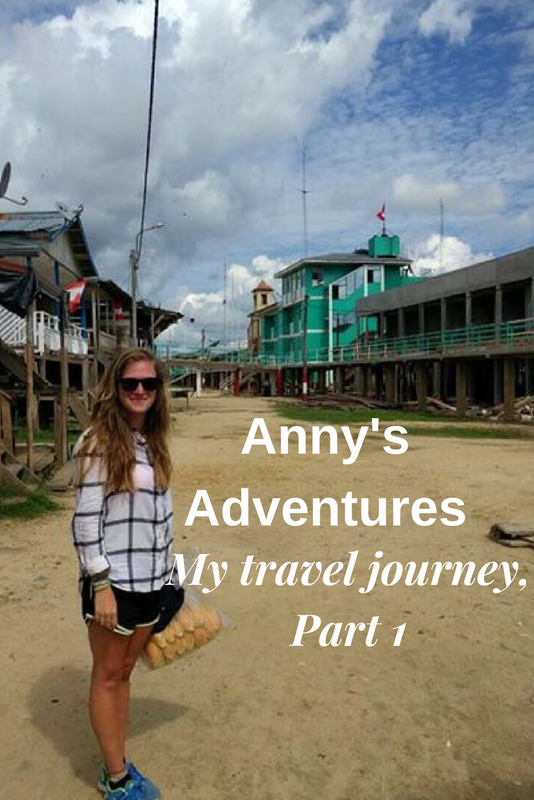 I have decided to write a post about my travel journeys so far, to let you all know about my adventures, inspire you and bring you up to speed on how I got to where I am now. There are too parts to the story and this is part 1. Like many other teenagers I embarked on my journey through life by moving away to University at the age of 18. I choose to study Business Management because it is something I enjoy. I really enjoyed University but half way through my third year I couldn’t help but worry about what’s next, I was so worried about what to do, apply to jobs, getting rejected and work pressure all got to me. I was spiralling out of control, so unhappy, lonely and scared, I couldn’t control anything in my life, I was headed down a troublesome path, I started controlling the only thing in my life that I could – what I ate. I was not in a good place, weighing around 7st and it started to control my life, I had a lot of anger, snapped easily and wouldn’t go out or do anything. As the end of University approached I was in the worst place I could have been, somehow I managed to finish University and graduate. I was no longer worrying about what to do next because I was too worried about what I was eating and exercising, I was well and truly lost. A month after graduating I went to work at an American Summer Camp as a water ski instructor (I had previously worked at the summer camp the summer before) in upstate New York. I loved my previous summer at camp, was excited to get back see my friends and meet new people. Summer Camp jobs are amazing, I lived in a bunk with 16 10 year olds, which was entertaining. The camp was a seven week camp and they had a large variety of activities such as; Tennis, Gymnastics, Canoeing, Sailing, Water Skiing, Soft Ball, Football, Athletics and many more. Many children had attended the summer camp for many years in a row, growing up there, enjoying the summer with their friends. Working at a summer camp isn’t an easy thing to do, the hours are incredibly long, often working from when you wake up to when you fall asleep with a few hours off during the day. Both years at a camp I completely forgot I was being paid, it was such a good experience that I would have potentially undertaken it without being paid. I enjoyed my camp experience so much that I was thrown completely out of my routine, I started to forget about everything I had once thought was important, I broke away from my bubble and it truly changed my life. I realised life was more about having fun and I didn’t want to miss out on doing anything with my new friends, I started to smile again. Camp had a set routine- food was given to you at a set time, you had a daily schedule and you had to be strong to look after the kids. Camp was truly a great experience, I loved every second, everyone should spend a summer at a summer camp, to have fun, realise what’s important and forget their problems. I know it’s cliche but I really found myself that summer, remembered what it was like to be happy, forgot all my worries and came away with a completely new mind set. After returning from America I had no job, nothing to go back to but with my new found happiness, I wasn’t worried at all. I was at home for around a week and a half, having fun with my friends, going out, searching for jobs and having job interviews when one day I found an email for a water ski instructor out in Greece, I had an interview and I went out to Greece the next weekend. A seasonnaire job is a job for the summer or winter months, mainly working in resorts or chalets, as a seasonnaire often you work for an English company. You can undertake a variety of jobs from water ski instructor, nanny, chef, hotel host, tennis coach, lifeguard-you name it, it’s a seasonnaire job. I worked as a seasonnaire in Greece for six weeks after returning from summer camp, I was a water ski instructor and ski boat driver. I worked in an all inclusive resort for English people, it was a great experience, I met some amazing people. I worked for a company called Sunsail, in a resort called Vounaki, I loved it, it was just like summer camp but without the kids. I spent everyday driving a boat around the bay, teaching people to water ski and wakeboard. I loved it as much as I did my summer camp experience, every day I had to pinch myself this was a dream job and I was doing it, in fact someone was paying me to do it. It was such an incredible six weeks I didn’t want it to end, I made friends with people who wanted to have fun, we went out, had parties, watched movies, I felt like a completely different person to the person I had been less than 6 months previous. I again threw myself outside my comfort zone, this time I knew no one, I could be whoever I wanted to be, no one knew my past. Everyone has a story but at that point I didn’t even want to accept my past troubles, no one needed or had any clue about it and that was the way I wanted it to be. I made friends and become close to a group of amazing people on that season, I visited them when I returned home and they invited me to join them on their winter season in Chamonix, France, to which I gratefully accepted. Why not? I had no other plans, a winter season sounded fun, snow skiing every day meeting new people and having more great experiences. Come back on Thursday to read the next part of my travel adventures including a winter season, summer season and my next great adventure. Follow my blog, Twitter, Instagram or Pinterest for more crazy adventures of a girl trying to find her way and place in the world.